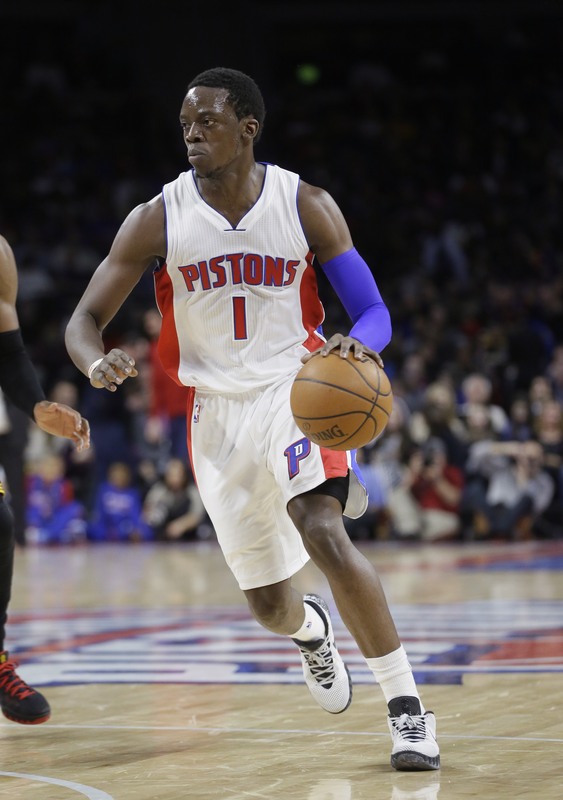 Could Pistons Keep Both Reggie Jackson and Brandon Jennings? A big question after the Pistons acquired Reggie Jackson at the trade deadline regarded the fate of Brandon Jennings, Detroit’s starting point guard who suffered a season-ending injury. 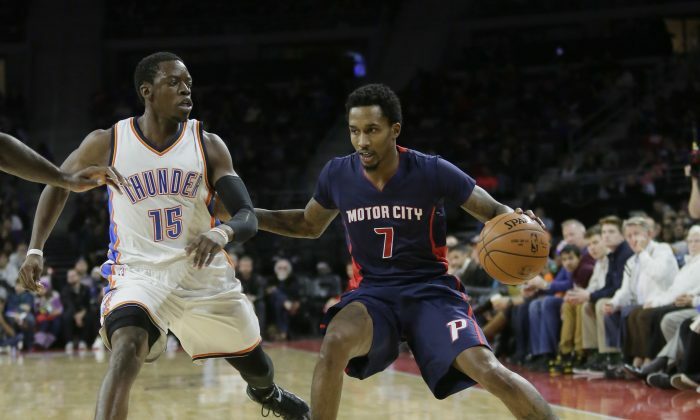 Could the Pistons plan on keeping both Jackson and Jennings despite them both being ball-dominant guards? Detroit also has two big men–Andre Drummond and Greg Monroe–who need the ball a certain number of times game to stay involved, not to mention a plethora of shooters. The complications stem primarily from personalities and contract situations. Jennings and Drummond are both under contract for next season, but Jackson will be a restricted free agent and Monroe will be an unrestricted free agent. And Jennings and Jackson can co-exist, but the real question is–would it work? An unnamed scout took on the question in a recent interview with Bleacher Report. “They’re putting [Jackson] in position where he’s got to be a star. But you’ve got Andre Drummond, who needs the ball, and somebody [needs] to get him the ball. If you keep Greg Monroe, then he needs somebody to get him the ball. [Coach Stan Van Gundy] proved to be a magician in that before Brandon Jennings got hurt. [Jennings] was a loved teammate and playing some of his least selfish basketball of his career,” the scout said. Despite doubts about Jackson’s ability, particularly after this season’s underwhelming performance with the Thunder, the scout said the guard can play. “Reggie’s a talented scorer. He is a capable passer—but that’s a secondary thought. He’s more likely to try to get the assist pass than the secondary assist, or hockey assist. He seems to have an arrogance about the way he plays,” the scout said. Jackson and Stan Van Gundy have both addressed the situation, with Jackson calling it a “competition” and saying he planned on talking to Jennings. Van Gundy said the team plans on signing Jackson long-term, but said that doesn’t mean the end of Jennings time with Detroit. Jennings, who has been active on Twitter since his injury, stayed quiet about the addition of Jackson. But Van Gundy is one of the smartest minds in the league, which he’s proven so far in his roster moves. Even if Monroe leaves, Van Gundy will likely try to retain Jackson and play him and Jennings together, either keeping the ball mostly in Jackson’s hands or allowing each player to spend time as the primary point guard. Both players are good ball handlers, while Jennings shoots better in catch-and-shoot. He was shooting 36 percent from long range this season, for instance, but 42.3 percent in catch-and-shoot situations. Jackson is a streaky shooter but overall is not a good shooter–going 27 percent from long range this season, and just 20.7 percent on catch-and-shoot. His overall catch-and-shoot, 22.9 percent, is much worse than his 43 percent shooting. If Jackson and Jennings did play together, though, they would likely prove capable of getting each other more open shoots, boosting their respective shooting percentages and playing the fast-paced Van Gundy style even better. Especially if Monroe does leave, Van Gundy will have plenty of money to sign Jackson to the deal he wants, which would likely be around $14 million a year. The Pistons have $42.7 million on the books for next season so far, with Jennings, Drummond, Jodie Meeks, Caron Butler, Kentavious Caldwell-Pope, Aaron Gray, and Spencer Dinwiddie on the books. The team also has a $3 million team option for Anthony Tolliver. If the team opts to sign Jackson to a long contract, next season could also prove an experiment of sorts, since Jennings’ contract is up in the 2016 offseason.